Montreal-Kingston: McGill-Queen’s University Press, 2014. Ernesto Cardenal and Sergio Ramírez are two of the most influential Latin American intellectuals of the twentieth and early twenty-first centuries. Addressing Nicaragua’s struggle for self-definition from divergent ethnic, religious, generational, political and class backgrounds, they constructed distinct yet compatible visions of national history, anchored in a reappraisal of the early twentieth-century insurgent leader Augusto César Sandino. During the Sandinista Revolution of 1979-1990, Cardenal, apppointed Nicaragua’s minister of culture, became one of the most provocatibe and internationally recognized figures of liberation theology, while Ramírez, a member of the revolutionary junta, and later elected vice-president of Nicaragua, emerged as an authoritative figure for third world nationalism. But before all else, the two were groundbreaking creative writers. Through a close reading of the works by Nicaragua’s two best-known and prolific modern authors, Sandino’s Nation studies the construction of Nicaraguan national identity during three distinct periods of the country’s recent history—before, during and after the 1979-1990 revolution. Stephen Henighan offers rigorous textual analyses of poems, memoirs, essays, and novels, interwoven with a sharply narrated history of Nicaragua. The only comprehensive study of the careers of Cardenal and Ramírez, Sandino’s Nation is essential to understanding transformations to both Nicaragua and the role of the writer in Latin America. Stephen Henighan’s self-confessed ‘obsession’ with Nicaragua has led to an extraordinary work of scholarship. He has chosen two representative writers, the poet Ernesto Cardenal and the prose writer Sergio Ramírez, studied their works in chronological order, and set them in the unfolding Nicaraguan and Latin American history…. a meaty, readable study that has to be read right through as it accumulates perceptions. It supersedes everything on Nicaragua, Cardenal and Ramírez, and certainly the journalistic accounts of the Sandinista revolution by writers like Julio Cortázar and Salman Rushdie. Henighan’s critical reading opens the way for deeper reflections on [the] class question in the Sandinista revolution…he probes the roots of Conservatives’ alienation from Somoza, expressed at first in a familiar Conservative idiom but gradually turning more radical…Liberal dissenters, who under normal circumstances would have been Conservatives’ political rivals, also radicalize, claiming a direct line of ideological descent from Sandino himself. 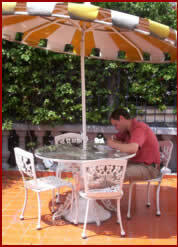 This reading leads Henighan to at least partly displace the standard genealogy of the three guerrilla tendencies with a parallel account: Sandinismo could trace one line of its intellectual-political roots through radicalized Liberals, another through radicalized Conservatives, and a third through the plebeian foot soldiers who had few affinities with either. This revisionist frame makes the premise of Henighan’s study especially fascinating. 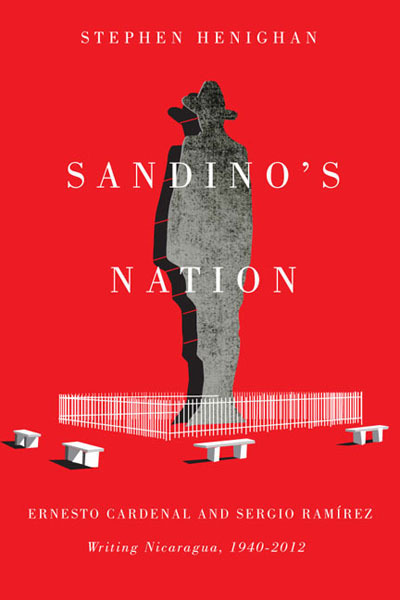 Comprehensive, ambitious, provocative, and compelling, Sandino’s Nation is a monumental work that is certain to become a model for accomplished, lucid scholarship on Latin American literature. Henighan has written what will become one of the most important works on the literature of two key figures of Sandinista Nicaragua, and not just because of the incredible breadth of his study… Henighan’s vast wealth of knowledge of the literary world also shines in this volume, which showcases his precise style and some lyrical passages. In this excellent book, Stephen Henighan presents a masterful academic analysis of Cardenal and Ramirez in a clear and engaging fashion. Sandino’s Nation conveys the personal life stories of these two famous authors, and demonstrates how their literary talent and personalities enriched their political beliefs and empowered their political influence. Henighan’s powerful approach of interweaving historical and literary analysis is an excellent model to emulate for future academic studies. Interweaves meticulous textual analysis of selected works by Nicaraguan poet-priest Ernesto Cardenal and novelist-politician Sergio Ramirez with detailed political analysis of Nicaraguan history. Recommended.